We have a variety of wedding collections that start at $1900.00. We offer a la carte pricing to complete wedding packages that include our custom wedding books and parent albums. Off-season, weekday or Sunday weddings offer more flexibility with our pricing.Wedding collections include a password-protected gallery website where guests can view and order photos, Engagement session and a flash drive of all the high-resolution wedding photos. Photos are enhanced and edited and include color, b&w and vintage tones. Please share info about your wedding with us on our contact form and we will be happy to send you a price quote. We do recommend setting up an appointment in our studio we so can show you our albums and different products you might like to consider. There is no obligation or pressure. We would love to meet with you and hear about your wedding! 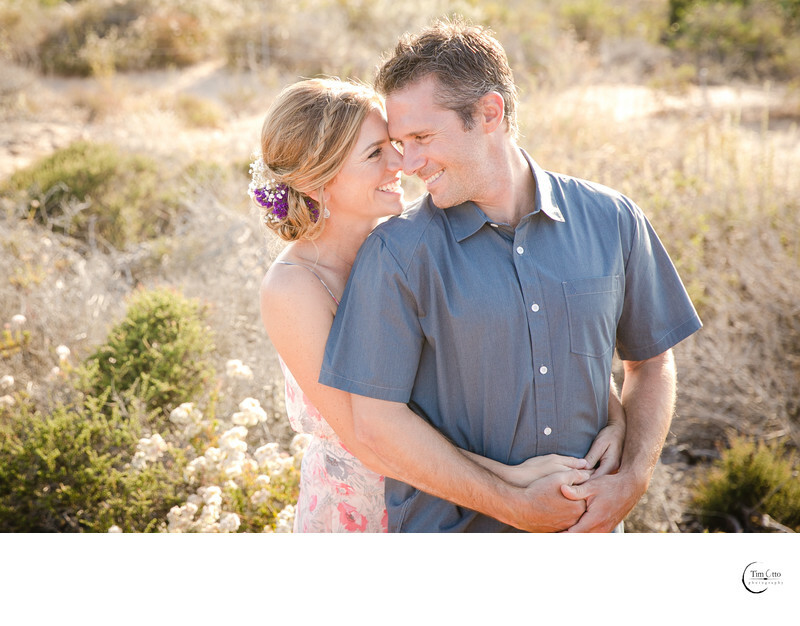 Engagement sessions can be included with our wedding collections. sessions are a great opportunity to work together before the wedding; we can take our time creating the photographs. Usually the sessions are from 1 to 3 hours long. I understand that most people don't feel comfortable in front of the camera and promise to make it a fun experience! I'm good at helping people relax and really enjoy the experience. We often visit different locations, and I encourage you to bring a couple different changes of clothing. The Engagement session can be created at locations meaningful to you, or I have a handful of great San Diego engagement locations to recommend. These photos are often used for save-the-date cards, display at the reception, guest signature albums or artwork for your home. We also offer Engagement sessions separate from our wedding collections. Call or email for info and pricing. Most sessions includes the high-resolution flash drive or a custom web gallery for downloading the digital files. All photos are enhanced, edited and lightly retouched. We recommend couples wear clothing of similar tones and color harmony. Avoid clothes with logos, distracting patterns or stripes. We want you to feel comfortable and wear whatever reflects who you are. Different outfit styles are a good option if we visit a couple of locations – maybe we start with a casual style and end with a more formal dressed-up look. You should just make sure there is continuity between the outfits. Be sure to check out the website/blog for clothing and location ideas. Props can also be used in your engagement session. I have had couples bring signs, bikes, pets, motorcycles, guitars and books – I can incorporate just about anything that is meaningful to both of you. Sometimes girls will do a practice hair and make up trial for the engagement session to make sure all is good for the wedding. This is just an optional idea but it can help with the confidence in how you feel being photographed. Email us for our complete guide of tips for your session. acrylics, photo boxes, gift folios and archival photographic prints. All Portrait sessions include the high-res files from any photos ordered. local or available to view the photos in the studio. high-resolution and low-resolution files. Head and shoulder style photos. photos are lightly retouched and delivered digitally. charge $750.00 for this session.